We've all been there when an add on emergency patient arrives at the office that has been hit with a hockey puck or punched in the face... or both. We will review relevant maxillofacial anatomy and common oro-facial injuries seen in the Oral Surgery department. We will discuss appropriate primary care and explain surgical approaches and decision making used in definitive treatment plans. Dr. James Brady, is an Assistant Professor of the Division of Oral and Maxillofacial Science at Dalhousie University, Halifax, Canada. He completed his undergraduate degree at Acadia University in Wolfville Nova Scotia (2003) and his dentistry degree (DDS) at Dalhousie University in 2007. This was followed by a general practice residency at the University of Western Ontario in 2008. He then obtained both his medical degree and masters of science, and completed his residency in Oral and Maxillofacial Surgery at Dalhousie University in 2014. He then concluded his fellowship training in Trauma in Glasgow Scotland UK in 2015. 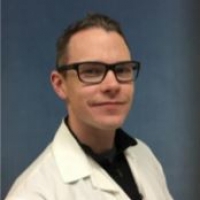 Dr. Brady joined the QE II Health Sciences Centre and IWK Health Centre, Halifax, Canada in September of 2015 as an attending oral and maxillofacial surgeon. His principal clinical interests include facial trauma, orbit reconstruction, orthognathic surgery and temporomandibular joint surgery.